From the moment we set foot into Forest View as visitors, we knew it was the school for us. It didn’t hurt that we had heard many colleagues and friends gush about what a wonderful tight-knit school it was. For us, picking the right school was a little like finding the right job, or the right childcare provider or the right house. It is one of the most meaningful decisions in your life, so it should feel right. For our family, Forest View just clicked. It was the warmth with which we were greeted by Principal Clay, the friendly hellos from parents and smiles on the children’s faces. It is the feeling of community, joy and hope that is pervasive in the halls that made our transition into first grade so smooth this year. In advance of the school year, we did a lot of getting used to the school. We played on the playground, walked the halls and peaked in empty classrooms during the summer, took a guided tour with a parent and even attended last year’s International Festival as guests. Each encounter confirmed the warmth of a welcoming and inclusive community. Diversity is very important to our family. 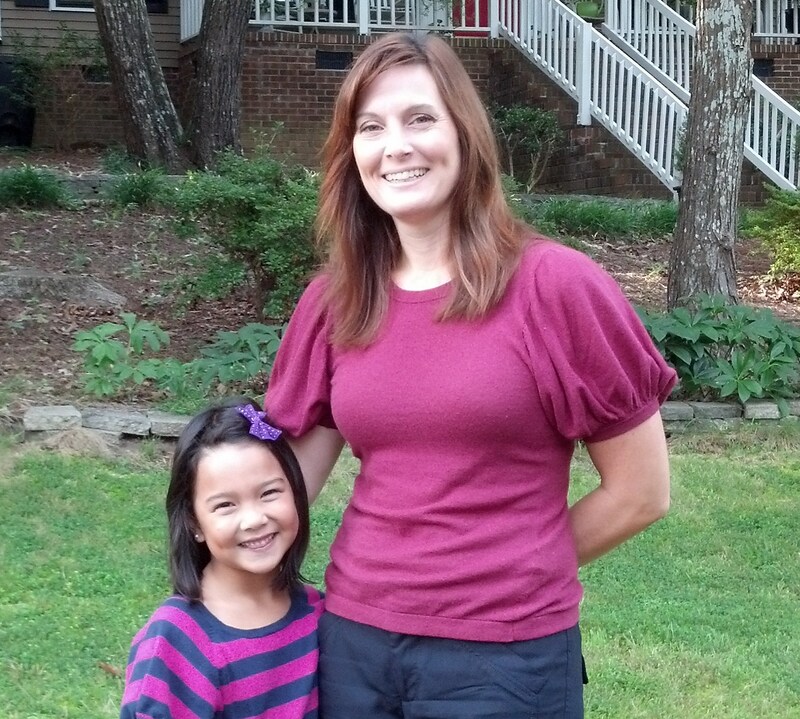 Our first grader Hana is of mixed ancestry – European American and Japanese American. She has started to notice that we all look different, celebrate differently and eat different foods. It was important for us that she see faces and hear names similar to hers and even more important to learn about those that are not like her. We wanted Hana to see and experience the world beyond the school walls. Forest View’s global community could not have been a better match with our values of cultural diversity and inclusion. A connection with nature, our environment and outdoor play is also an important value for our family. I was so excited to learn about Forest View’s gardens, successful landscaping days, its connection to Waller Farms and local nature sites. I was thrilled when after the second week of school, Hana came home to tell me they were studying science by observing insects outdoors. This is hands on learning at its best. The icing on the cake was when I heard that Ms. Rostagni’s 2nd grade class has its own walking program and the idea that other classes might try it too. People at Forest View really care about health and wellness and are sharing new ideas for how to make it fun and easy. Sign me up! Because we felt instantly included in this community, we are motivated to invest in Forest View as volunteers and PTA members. I think I just signed up for the grants committee! We hope to support the teachers and staff because we can see that quality is not something they strive for simply for measurement’s sake, but rather out of pride for their work and duty to the kids. At Forest View we feel a part of something greater than ourselves. Because we know when you expect something great, of teachers, of parents, of schools, of kids – greatness can be achieved.